Adobe: Is It All a Graphic Designer Needs? Sometimes as a consumer who is in the market for a particular product or service, you can easily see that there’s a market leader in whichever field you’re searching. It’s virtually impossible to think of an instance where this position isn’t deserved, since market leaders are leaders for a reason, namely innovative product design and implementation; savvy marketing and brand positioning; and a high standard of customer care and after sales service. When it comes to web design, the Adobe suite of products is the undeniable market leader, and designers know that while there are other options, Adobe products are generally all that are needed to get the job done. 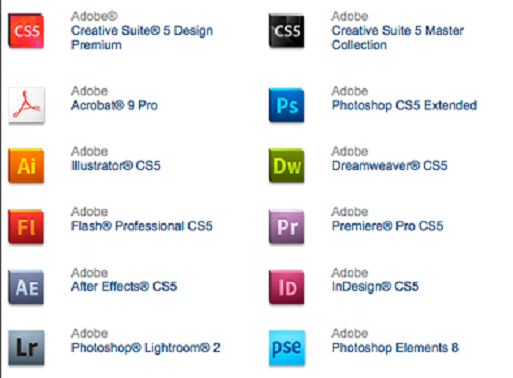 But what else is out there, and is Adobe all a graphic designer really needs? Adobe has made a significant decision to move away from their standard subscription model, and now offers their products and subsequent upgrades via the Adobe Creative Cloud. While Adobe is a leader in their field, the prevalence of smaller companies being able to offer comparable products through the Apple and Google App stores without needing the once necessary clout for a global rollout. So, yes – Adobe really is all a graphic designer needs, and yet there are many viable alternatives. Photoshop is the best known member of the Adobe family, and has become the standard verb for any kind of image manipulation or retouching, even when this is achieved with non-Adobe software. 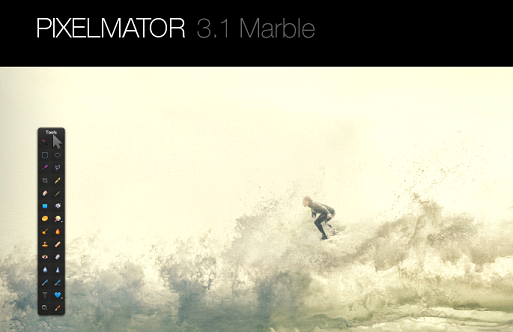 The best price option is probably Pixelmator, which rivals Photoshop when it comes to the vast majority of applications, although some truly complex tasks might be beyond it. Having said that, it’s definitely sufficient for most users. The creation of Vector graphics, wherein geometrical primitives (core shapes) are combined and manipulated to create images – essentially high quality drawing in a digital medium. Adobe Illustrator naturally does this job fantastically, but so does Artboard. Artboard can seem somewhat simplistic, with its utilization of templates to create the desired goal, but once you go beyond the basics, you’ll find that it’s a legitimate competitor to Illustrator. 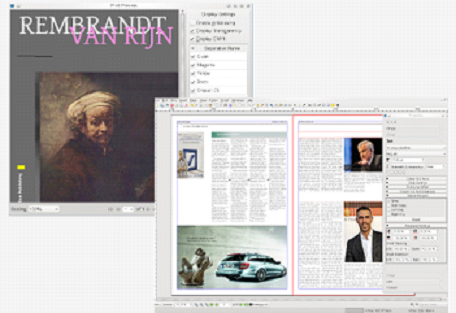 InDesign has made formatting a breeze, particularly when working in a print environment. Given that so much publishing has moved online, the concept of layout has changed, meaning that many of the key InDesign selling points aren’t as important as they used to be. Scribus – an open source desktop publisher does pretty much everything InDesign does, but perhaps because it’s free, it looks infinitely more basic, at least at face value. Using Adobe Premier for any type of video content makes sense, particularly if the end result is going to be implemented in conjunction with other items created using the Adobe suite. If you’re only making basic videos, you can do without Premier – consider using iMovie if you have a Mac, which is of course free, or Lightworks if you want something with a little more polish. Even with many websites now moving towards the chic minimalism of flat design, there are still some instances (and clients who demand it) when creating flash animation is required. This can be a frustrating proposition for designers who might often hand over the coding job to someone else. Yes, Adobe Flash is brilliant, but MotionComposer will allow you to create animations in Flash or HTML5, all without needing any sort of coding. This article was written by Sarah Bay, who works as a web designer and content manager for the infographics agency and web design blog Pelicanforce.